The Royal Mail ran ads in a series of national newspapers yesterday calling on its workers not to strike. I hope they work. I don't think they will, but I hope they do. "Earlier today we tabled a proposal as part of the process that reflected the progress made in negotiations over the last few days. "Had that proposal been agreed this would have enabled a period of calm and allowed further talks through ACAS with the intention of concluding a full and final agreement. At this point of time, we have not had confirmation as to whether our proposal is acceptable and therefore the strikes previously announced for the next few days will take place. " And I thought new media advocates talked in riddles. It turns out they're amateurs, union representatives have been at it for far longer with a different set of buzzwords. Trouble is, it's far too late now for the CWU to try to get a lot of people on-side. Little Village Post Offices are charming and essential, but they're not most people's experience. Town Centre Post Offices are what most people know and they're hellish. And it's the CWU's fault. When the UK Fire Service went out on strike in 2002, they largely had public support and they got their pay deal. The Fire Service had a lot of public goodwill to call on when the strike started but Post Office workers have almost none left. 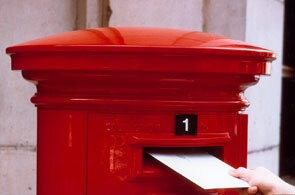 Experience of a city centre post office is of a business that is deliberately obstructive. People who only want to post a letter have to queue with people whose passport application has been rejected and little old ladies who want to discuss their savings account. Why? In any other business, you'd have a quick drop desk for ready to go parcels and letters. Come to that you'd have a few weighing scale machines with a credit card swipe attached that printed out the correct postage. Why don't we have those? The CWU. They'd strike if the Royal Mail tried to introduce them. In Charing Cross Post Office, there's a Philatelic Items window, with a staff member behind it permanently doing nothing. Officially he sells commemorative stamps. He won't take a parcel even when he's doing absolutely nothing and there's a half hour queue. Seriously, try it (then buy £1.50 worth of commemorative stamps for your parcel - it's fun and it winds him up.) Anybody think Adam Crozier wants him there, instead of mailing parcels? Or would that be the CWU again? Royal Mail have already lost the Amazon account, among others. They're going slowly bankrupt and this strike is accelerating the inevitable. In a popularity contest, I don't need the Royal Mail's new ads - the management already win every time.